The public is being invited to view Runcorn Station Quarter road improvement plans. 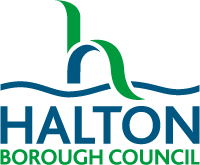 Halton Borough Council is inviting the public to view its plans for improving the road network around Runcorn Station at The Brindley, Runcorn on 14 November from 4pm to 6pm. A planning application was submitted last month, which if approved, would enhance connectivity between Runcorn Station and Runcorn town centre, as well as open up exciting new opportunities for developing the area in front of the station. It would see the removal of the loop road adjacent to the station, known as the ‘trumpet loop’. On view at The Brindley on 14 November will be the planning application and the accompanying maps. Council staff will be on hand to answer any questions the public may have. For those not able to attend the event, but who wish to view the planning application, it is available online at http://webapp.halton.gov.uk/planningapps/index.asp by entering the reference number 18/00504/FUL. If approved, it is hoped that work on these road improvements could begin as early as spring 2019.